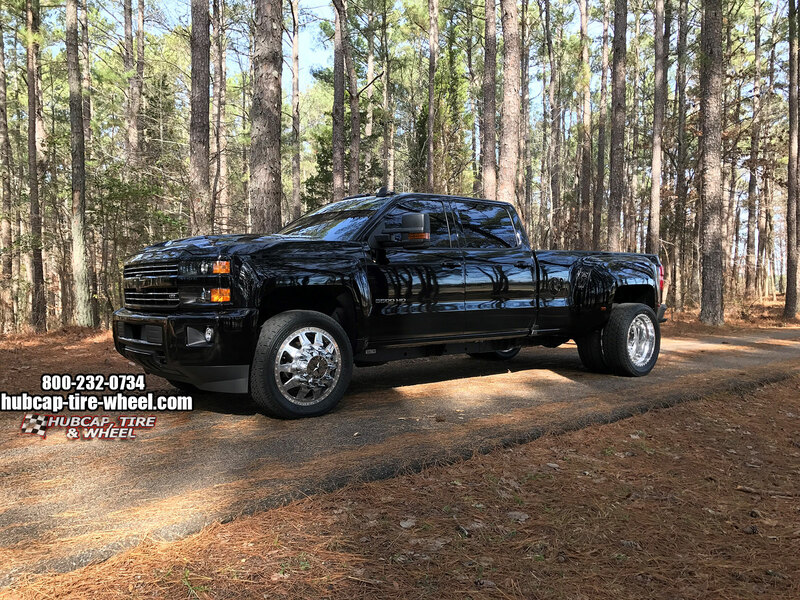 See our customer’s black 2017 Chevrolet Silverado 3500 Dually truck with 22″ American Force Independence polished rims. 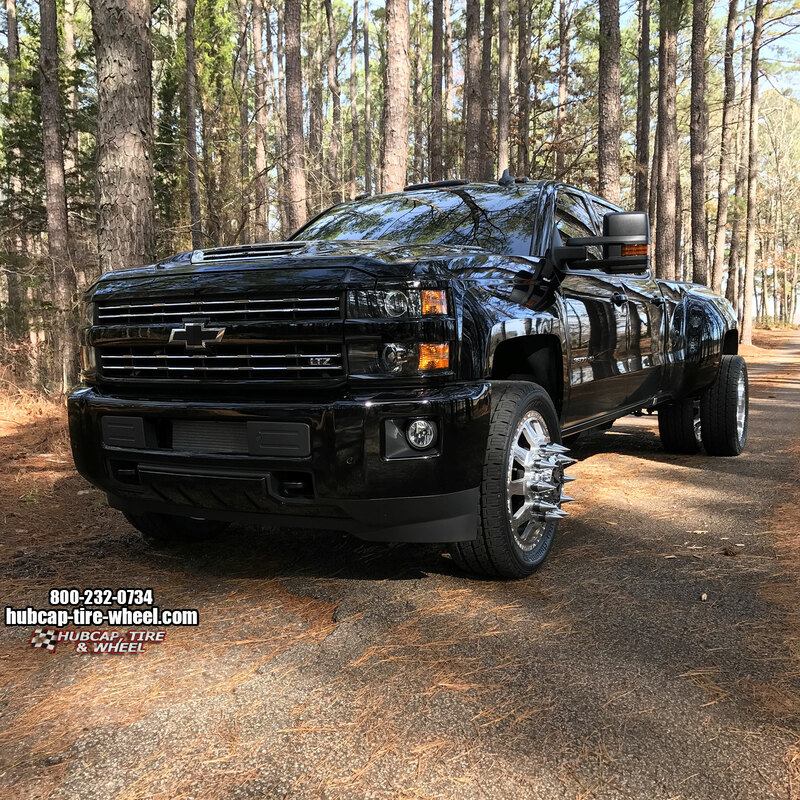 American Force Wheels are probably the most popular wheel brand out there right now for dually trucks. They simply make one of the best rims money can buy. American Force wheels are made right here in the United States and they have the best designs on the market right now. 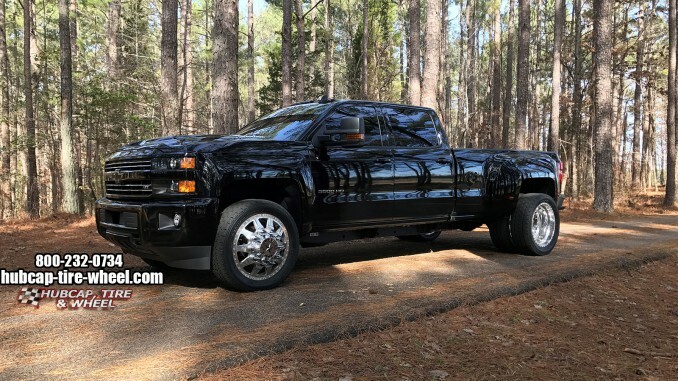 Go to our web site and click on American Force Dually wheels to see all the options you can get. There are no hidden prices and all the shipments for your six wheels will be free as long as it’s in the continental United States. Why you can trust us to buy American Force wheels: Click here to read about our relationship with American Force. If you’re looking for something similar to this wheel and tire package or any other wheel and tire packages please don’t be afraid to get a hold of us. You can call us Mon-Fri 8:30am – 6pm EST and Saturday 9am-4pm EST at 800-232-0734. We can help with any wheel, tire, size, set up and more. Our wheel and tire experts have over 100 years of combined experience so you know you are talking to trusted all around car guys. We have a guaranteed fitment or your money back. Let us worry about the bolt patterns, offsets and widths. You just tell us what kind of set up you’re looking for and what color wheel you want and we’ll take care of the hard stuff. We will even mount and balance your wheels and tires for free. Not to mention, you will also get FREE shipping. All you have to do is take your wheels and tires out of the packaging and bolt them onto your vehicle. It’s literally that easy to do.